Fishing is one of the most joyful hobbies in the world. It makes you connect easily with yourself, without much effort to be put mentally. Amazing outputs come out as a result of fishing. Have you seen people who love fishing? Talk to them; you will discover their enormous patience level. Yes, fishing requires a little equipment and technical skills, more of patience. So, why not try your hands-on fishing? If you are an advanced level fishing expert, you already know what and how to do. But, if you are a beginner and looking ahead to have an amazing time learning fishing, there are many sources for you to learn. If you have your uncle or father who knows fishing, maybe you might have heard a lot about fishing, but if not, do a little research with a google search. When writing this article, I did research and found a lot of amazing stuff on websites like www.tackle.org. Tackle backpack box: Tackle backpack boxes are really getting a good hit in the market because of their versatility. They can be used for fishing for a day and hiking for next day. Get all your gears purchased from the shop, along with bait and stuff your tackle backpack box. Live bait container: A live bait container for you is to keep the baits (crickets, worms) alive in the cool conditions till the time you go It is very important to keep them as fish love. They are the bread to fool your fish. You may find them a little expensive, but they are worth buying. Fishing rod and reel: This is the most important and basic gear that you need in fishing. Make a little offline and online research about the best fishing rods and reels available and get them. Since you are a beginner, make sure that you buy basic types. Otherwise, you will land up spending money for something that you won’t be able to use. Fishing barometer: Fishing barometer is the devices that can smoothen your fishing experience. They help you learn about fish and their behavior, pressure conditions inside water so that you can make a little prediction or speculation about fish. They contain mercury and act on pressure difference deflection principle. Tent for your camp: When you land upon the decision to spend your weekend fishing, you must get yourself a tent to set up your accommodation at the fishing spot. Enjoy the camping with your family and be ready to welcome the new guest, e. fish in your dinner. All you need to ensure is that the tents are good, strong and durable so that you have to spend only once on it. With this list, you make yourself ready in a better manner for fishing, and now, all you need to do is to take your car, allow your family to sit in and drive to the spot. There used to be a time when skating belonged was for some selected people who had access to winter resorts that were ideal for skating. Over the years things have changed drastically as skating is now within everybody’s reach, thanks to the popularity of Synthetic Ice Rink Kwik Rink. Winter sports like hockey and skating are no more dependent on season. You can enjoy skating or hockey on ice at any time of the year if you have access to synthetic ice-rinks. Plastic ice-rinks are viable in terms of entertainment and cost which is the prime reason for its popularity. However, installing synthetic ice-rinks come with its own challenges that manufacturers must overcome to provide the best user experience. What these challenges are and how to counter it effectively will become clear on reading this article. You can install synthetic ice surface only on plain and even ground. Fulfilling this condition is extremely important to ensure that the finished surface is smooth and even. Most synthetic ice panels have a dovetail interlocking system that ensures horizontal locking. It can create an uneven surface in case there is any vertical shift in the locking arrangement. Using a tongue and roof interlocking system that allows both horizontal and vertical locking can help to resolve the problem. The purpose of providing an alternative to natural ice is to ensure that skaters derive the same comfort and enjoyment from the artificial surface. This can be quite challenging if the quality of plastic used for synthetic ice rink is not of the right quality. 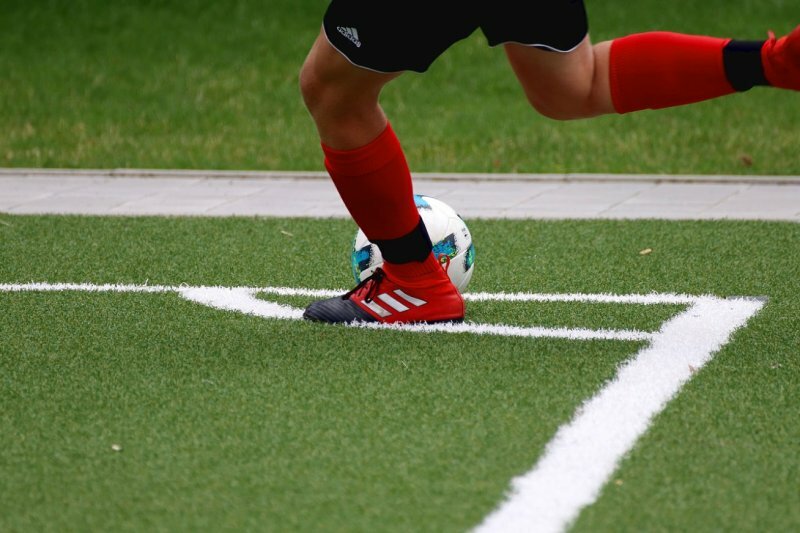 Ensuring the use of superior quality self-lubricated plastic or polymer is the only way to achieve ice like performance on an artificial surface. The feeling of skating on real ice and synthetic ice can be entirely different even though it is not what anyone would desire. The problem can happen if the quality of plastic used for manufacturing the surface and the quality of workmanship is not up to the mark. Manufacturers of synthetic ice-rinks must blend the best technology with best materials backed by quality workmanship to ensure that the feeling is the same on both real and artificial surfaces. Low-quality synthetic ice-rinks can be an ugly sight because abrasion of the surface due to rubbing of skates will leave unsightly marks and shavings that can be a tun off for skate enthusiasts. It would increase the cleaning bills and leave skaters frustrated as they struggle to perform on the surface. To avoid the problem, manufacturers must ensure that they use only high-quality self-lubricating plastic sheets. If the surface of synthetic ice-rink becomes discolored after some time, it is the result of using inferior quality plastic. Using UV resistant, good quality plastic for outdoor applications ensures that the synthetic ice-rink retains its original color. Giving more emphasis on using good quality raw materials coupled with the latest manufacturing technology is the only solution to all the above problems. Are you heading to Switzerland to try on the new skiing moves you have learnt? Or you might be an amateur snowboarder wanting to ski the Alpine range for the first time? Turning is the most critical skill that you need to master. It controls your speed and moves you in the direction you want to turn. Master the skills and tricks of skiing at Ski Bro in Switzerland. Most beginners try to get the hang of turning by using a snow plow or a gliding wedge but what about when the surface is not gentle or flat? With steeper terrains comes a steeper practice routine! A perfect turn is usually a parallel turn because the skis remain parallel to each other at the end of the turn. It is also called edging which is the act of scraping the sides of the ski against the surface which allows the skier to control the speed and make a turn. The general rule of thumb; the more the skis are perpendicular to the slope, the more the edging. For getting a quick hang of it, you need to practice hockey stops. Make a sharp turn to the left or right depending on the direction you want to turn or stop and bring the skis parallel to each other without touching. Edge the skis hard on the surface if you want a dead stop or keep some momentum to take into the next turn. That is more challenging than the wedge method for stopping, but once you get the hang of it, you will realize why this is the best way to go! There are certain body postures and biomechanics involved in an adventure sport like skiing. For example, to turn to the right, you can drop the left shoulder towards the left ski tip which will increase the pressure on the left and allow you to make a right turn. Apply the same, but on the opposite side for a left turn even if it seems counterintuitive! Try it on a gentle slope and always go through your warm-up practices to avoid injuries. Another key point to remember is that when on a downhill skill, the right ski is the downhill ski for making a left turn and vice versa. Amateurs and beginners usually do not learn the use of poles until they have mastered the basic skills of skiing. Poles are there to maintain the rhythm of skiing and are not for balance and support. Now that is out of the way, try pole planting while turning. If you want to initiate a left turn, you will plant the left pole and shift your weight on the right ski and vice-versa. Start on a snow plow as it is a great starting point for any beginner. Develop good control which is a solid platform for advancing rapidly. Refine your technique with regular practice sessions and jet down those slopes in Switzerland. See you there. 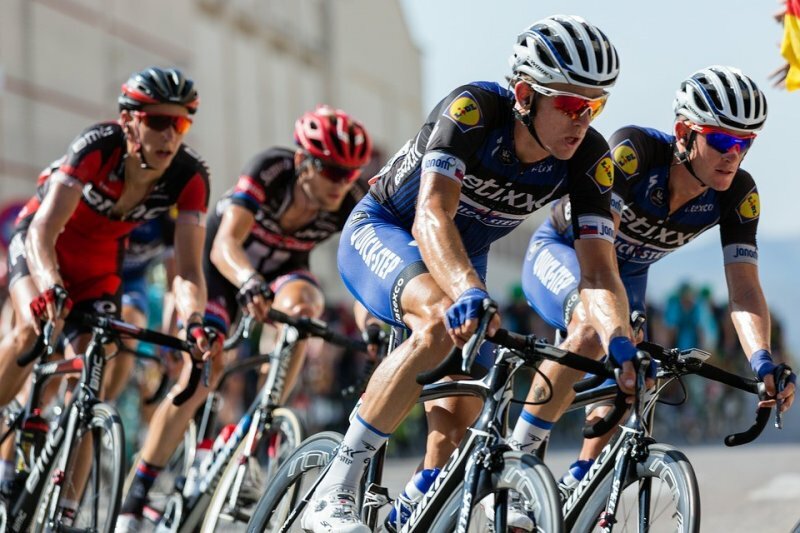 Cycling is one sport that is slowly gaining popularity all over the world. More and more people ride their bikes, whether it is to go to work or school, to race or just to get some sweat out of their system. 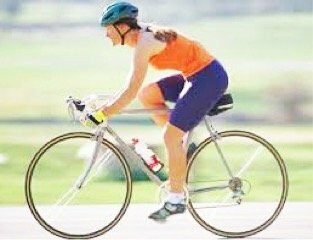 Those who are new to the sport may wear just about anything when biking, not knowing that it is essential to wear the right clothing, not only to be able to move freely but to feel cool despite sweating as well. Aerodynamics is one factor that every cyclist should consider, especially those who race. Tight cycling shorts and jerseys provide cyclists with the aerodynamics that they need. They wear custom clothing that manufacturers like selekt.co.uk make according to their body measurements. Wearing loose clothing will create drag, making it hard to go fast. The flap of extra clothing will slow down the cyclist. The helmet is another thing that helps speed up the cyclist. The aerodynamics will depend on the helmet’s design. You may think that tight clothing is uncomfortable. On the other hand, when you wear the right clothing, you feel more comfortable than when you wear loose clothing. You are also able to move more freely if you wear a jersey and cycling shorts. Baggy shorts may prevent you from bending your knees. Cycling jersey manufacturers use fabrics designed to absorb moisture from the body, but still provide coolness or warmth when needed. Lycra, polyester and wool are the three most common fabrics used in cycling apparel. The reason for this is that they are outstanding in absorbing moisture away from the body. The moisture then evaporates and provide coolness to the body. Cotton does not do the same as Lycra, and other fabrics do. When cotton gets wet, it stays wet. Besides the inability to absorb moisture, it also slows down the cyclist because wet clothing is heavy. The abovementioned fabrics are all lightweight, so easy and cool to wear, even if you sweat. Helmets are a must in cycling. Besides providing aerodynamics, its main feature is for the safety of the cyclist. You may encounter falls during your rides, and your helmet will shield your head from injuries. The cleats are another part of the essential gear to prevent injuries. Cleats sit perfectly on your feet, making it easy to grip the pedals. Gloves also prevent your hands from injuries. They are especially useful on long rides and races, as gripping the handles for long periods can hurt the hands. They may even develop calluses if you don’t wear gloves. Invest in proper cycling apparel: cycling shorts, jerseys, bibs, gloves, cleats and a helmet. It may cost you money to buy this gear, but you can be sure that you will be cycling quite comfortably, and you may also prevent accidents by wearing the right equipment. If you are serious about the sport, you know that it is not only the bike that you have to spend on. After basketball, it is horse racing that is the next most widely attended sporting event. It was popular as a game for the nobility and the kings and is among the most ancient sports. The origins of the contemporary racing date back to the 12th century after the English knight’s return from the Crusades with the speedy Arabian horses. The sport of horse racing flourished in the form of a professional game at the time when Queen Anne reigned. Flat Racing- Here, the horse runs on a leveled racecourse and here various breeds of horses are used. Thoroughbred Racing- Only a special breed of horse takes part in the thoroughbred racing. Steeplechasing- This is a racing over jumps. Here the horse needs to pass a few obstacles such as water jumps, timber rails, stone walls, and brush fences. Point to point Racing- This type of horseracing is done over fences both for amateur riders and hunting horses. Hurdle- This is a form of race that takes place over a course where the horse jumps over different types of hurdles/obstacles. A trained and experienced breed does not make it a guaranteed winner when it comes to the race track. There are other vital factors too related to horse racing apart from the breed of the horse. A good trainer plays a pivotal role in the horse’s success. It is he who will perfectly subject the horse into various exercises particularly equestrian activities. The right trainer will improve any horse’s odds for sure. Do not underestimate the role of a jockey as he is the person that will be with a horse at the time of the actual race. It is, therefore, crucial for him to have excellent communication and excellent riding skills with the horse. The World Wide Web will offer you a plethora of information related to horse racing. You will come across enough horse racing tips that will help you enjoy this sport to the fullest. ]]> Guide http://www.allsportsportal.com/guide/horse-racing-vital-information-and-history-64089056.shtml http://www.allsportsportal.com/guide/horse-racing-vital-information-and-history-64089056.shtml Editor Wed, 28 Nov 2018 09:35:13 -0500 GDPR: How Does It Affect Sports Club Management? There’s no denying the fact that managing your own sports club and helping other individuals get together to have fun can be an enriching experience. There are so many different ways you can maintain a club - and just as many directions where you can take it. Are you interested in bringing your club to the big leagues? You’re more than welcome to try. Interested in a more casual experience? That’s an entirely viable direction to take. However, there are certain things that you cannot avoid when it comes to sports club management, such as General Data Protection Regulation - or GDPR for short. As a matter of fact, GDPR in Sport is so important that the consequences for non-compliance can be hefty indeed. The main reason why GDPR is crucial to sports club management is that it serves as a regulator of those who hold the data of others. When it comes to overall sports club management, you won’t be able to avoid collecting the personal data of those who join your club, and the GDPR serves to protect those individuals. Without it, you would be taking a monumental risk joining any sports club - or any other organisation for that matter - as you won’t be able to stop them from doing what they want with your data. For anyone who happens to be running a sports club, it will always involve the collection and storage of certain types of personal data. Examples of this would be the email address, alongside others. If you do not have a basic understanding of GDPR, then you will not know how to effectively comply with their regulations, increasing the chances of non-compliance. This could effectively lead to fines that could prove to be too much to handle. In fact, certain sports clubs have been completely dragged through the mud thanks in large part to the substantial fine given to them by the GDPR for being non-compliant. This can range from the overall awareness of the information that you hold, all the way to acquiring consent and dealing with breaches of data. These are all crucial if you’re going to be managing your sports club, and while there’s plenty of fun to be had, it’s essential that you not ignore what GDPR requires of your club. To conclude, the GDPR can affect your sports club in substantial ways. If you are compliant and have an understanding of how to remain in their good graces, they can help your sports club in a multitude of ways. On the other hand, if you completely disregard their warnings, the fines that they impose will ensure that you won't be able to keep your sports club for long. It would be best to err on the side of caution and ensure that you have all the information you need to be compliant with their regulations. You might have heard about this term sports tourism. But, unless you are pretty much sure of the real meaning behind it, you won’t be able to understand the importance it holds. Sports tourism, in layman’s term, is mainly referred as travel, which will involve either participating or observing sporting event, while staying apart from the usual environment of tourists. This kind of traveling is completely revolving around sports and nothing else. Right now, sports tourism is a growing sector of the globalized travel industry. It has currently equates to around $8 billion. There are so many classifications under sport tourism bracket. Most of the time, this form of tourism is classified under two major belts; hard sports and soft sports. But, there are some other research materials, which have distinguished sports tourism under three belts; sports event tourism, active sport tourism and nostalgia and celebrity sports tourism. The term “hard” in this form of sports tourism mainly refers to quantity of people, willing to participate in competitive sports events. Most of the time, these kinds of events are motivated ones, which will attract visitors to events. Some examples of hard sports tourism are Grand Prix, FIFA World Cup, Olympic Games and more. On the other hand, you have soft sports tourism, where the tourist travels to participate in some of the recreational sports or just signing up for leisure interests. Some such examples are skiing, running, hiking and canoeing. The most common example of soft sports has to be golfs in some of the destinations in the USA and Europe. Most people are highly involved to play world’s greatest form of courses and take pride by participating in those games. Well, people from TVG might help you with the distinction. Sports event tourism mainly refers to people visiting city to watch events. The two most attractive events of all time, forcing people to come and join you from various parts of the world are FIFA World Cup and Olympics. These events take place once in every four years and in different parts of the world. You have sports tourism in the USA, which is focused on events, which take place annually. The current idea of pairing quality sports with the attractions of Bahamas raised the current island’s profile and brought in some of the visitors and bucks to the country. When it comes to celebrity and nostalgia sports tourism, you are actually involving people and their trips to sports hall of fame and the venue. They are going to meet some of the sports personalities in vacation basis. On the other hand, you have active sports tourism as well, which refer to those people, participating in sports or in sports events. Some examples of active sports are football, rugby, basketball and similar such examples. Most of the major sport events are organized every year in most globalized countries. Country clubs first became popular as an institution in the United States in the 1880s. In contrast to athletic clubs, which were places where an urban professional might drop by for a game of squash followed by a drink with friends, country clubs focused on providing members and their families with access to leisure time activities like swimming, horseback riding and golf that require an outdoor setting. Many country clubs have first-class restaurants and wine cellars on premise. They are the social hubs of their communities, and places where special occasions like anniversaries, graduations and job promotions are celebrated. A contemporary Scottsdale country club will provide you with access to traditional country club activities, but it will also offer exciting new amenities. While once upon a time, country club membership was restricted to men, today’s country clubs welcome members of both sexes. Country clubs may offer one of the few real-life environments outside of work where adults can make new acquaintances. In addition to providing members with golf links and swimming pools, many country clubs offer spa-like amenities such as gyms, yoga classes and personal training. Membership requirements differ from country club to country club. Many clubs continue to require an initial initiation fee in addition to annual dues. Increasingly, however, country clubs that cater to individuals and families outside the executive class are waiving initiation feels. Some country clubs may expect members to spend a certain amount on food and other amenities each month. Country clubs prefer to accept new members on the basis of a recommendations from someone who already belongs to the country club. Your sponsor may have to write a letter of recommendation describing why you’d be a good asset to the club. Some country clubs will require a credit check to help ensure that you’re in a financial position to pay the required dues. Most clubs offer various tiers of membership. A full membership may entitle you to unrestricted access to the club’s grounds and amenities while a supporting membership may only give you access to the golf courses on certain days. Paintball is a simulation of battlefield games. Most strategies and tactics are modified from military procedures to outplay opponents. In fact, players who are also serving in the army cite that the game enhances the reality of an actual battlefield. Unlike new players, advanced ballers are well-acquainted with the fundamentals of effective balling strategies and tactics. One of the best strategies to win a paintball game is to have the best equipment. Get Paintball presents the best paintball gear and the best paintball guns for advanced players and not only. The text highlights essential tips and tricks skilled players use to win the game. The approach is ideal for advanced ballers as it allows them to advance or retreat while covering one another. 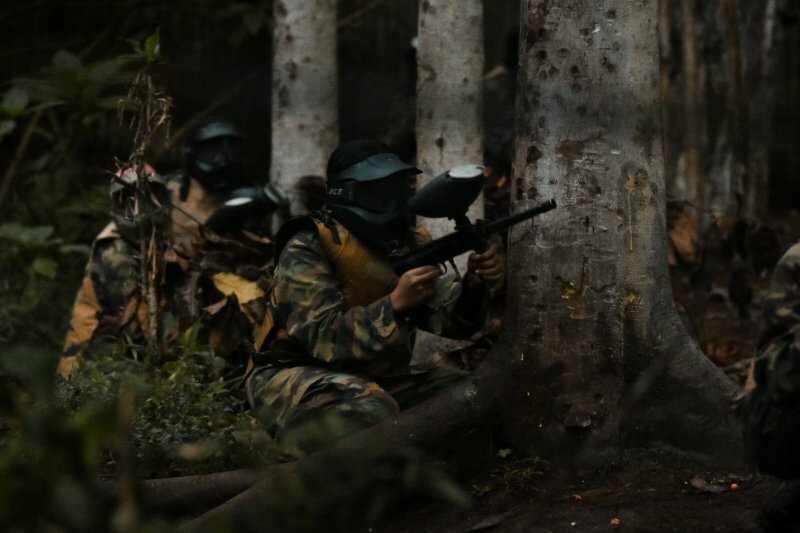 One player fires at the other team while his teammate runs for cover. The action is repeated until the last teammate is safely covered or all the players have made enough advancement against the enemy. For this strategy to work, it needs a lot of cooperation from all the team members. If one player is not playing his part, he puts the entire team in jeopardy. Additionally, it is more efficient when all players on the team have practiced the strategy first. When leapfrogging, players rarely shoot straight in front of them; they are crossed up with the player on the other side of the battlefield. In fact, your opponents barely run up to your teammates. Your team should come up with a gesture that signals when to move and when to stop. Leapfrogging was modeled after a military technique called buddy live-fire. The method involves some players walking to the middle of the battlefield while the others sneak up on the enemy from behind. It makes a great balling technique that is also borrowed from the military. Flanking has been known to help players win lots of games. However, the team may lose several players in the process but survive and win the game. Flanking allows team members to get behind the enemy without their knowledge. What's more, if your team is pinned down, the strategy allows you to split up and advance from both sides of the opponent. Your team gets to weaken the front position of the enemy by targeting the adversary from many angles. Also referred to as pin down, it allows players to shoot fast and steadily at the opponent's position. Several players fire their guns rapidly at the enemy while the other team members rush to the field. The strategy is used to make large advancements in the battlefield and encourages your enemies to hide behind cover completely. Runners use physical cover while advancing to the field, which brings them closer to make accurate shots and eliminate the enemy. However, this strategy is quite dangerous, so make sure to wear protective clothing before you get involved. Players should fire up to four rounds while aiming at the desired target. If you don't hit any player, you should establish the direction of the shots. The shots should be relatively dependable in their accuracy as you advance to your opponent. The strategy works effectively when your team is equipped with the best gear, ammunitions, and high-quality paintball guns. For instance, the Empire Axe Marker is ideal for advanced players, because it fires easy and accurately and it’s very light and comfortable. It is a pretty sneaky tactic that is ideal for advanced players. Here your team fakes a retreat, which allows your opponent to rush into the open to take advantage of the withdrawal. Once the opponent comes out into the battlefield, he gets a surprise attack. The technique works perfectly when your team is on the verge of losing the game. It's easy to get absorbed by the one on one fight with opponents (also known as a 50/50). However, advanced players take advantage of special angle tactics. Regardless of how good you are, you have a 50% chance of being taken out. As such, you should back up and sneak out to a different angle and plan how to attack again. If it turns to another 50/50 fight, back up and work out a different angle. The tactic works best when you are applying the flanking strategy. Moving into the field as a single group takes away the other player's shooting angles. Instead, ensure the players should spread out left, right, and downwards to form a wedge. This way, if the point man engages the opponent, the squad emerges to get killer angles on the enemy. Some snipers get excited and try to fight the opponent before he reaches the trap range. The other players can garner on the advantage by moving from one piece of cover to examine the safety of the other cover before proceeding. By working from one cover to another, you spook the ambush and establish a safe escape route, so the squad flanks the sniper's position. Even for advanced players, practicing these strategies and tactics is the only way to hone their skills. Keep in mind you are only as good as your team member, hence the need for players to equip themselves with these skills collectively. Generally speaking, pool tables aren't exactly an affordable purchase. This might tempt you to compensate by getting the cheapest one you can find, but let's just think things through from all angles before that thought enters your mind. Not only are they much more prone to wear and tear, it's also quite difficult to execute complex maneuvers on them, which will hold you back in terms of skill and progression. How much can you expect to pay for a decent pool table? You've probably heard the saying that more or less, you get what you pay for, and it's no less true when it comes to selecting a pool table. After all, the materials, its size, and the style of the table all play a role when determining its price. In broad terms, you can expect to pay anything from $1000 to $25,000. Truth be told, you probably don't really need the features that come with the pool tables that cost $4,000 or more, and you can still make your purchase very cost-effective, even if that means not getting the cheapest one. In fact, wisely picking one of the best pool tables under $2000 is more than enough if you're looking for a good balance between price and quality. The more expensive the table, the more pieces it's made of. That way, they're much more stable, and you can comfortably lean on them without the fear of causing damage to them and make them become wobbly. The thicker the slate, the better, since thicker slates usually provide a much more even space to play on. Try to look for solid wood instead of particle board or plywood. Overall, the frame has the function of making the whole table stronger, and ideally, it should be able to take as much as 500 pounds without problems. Solid wood frames have another advantage: they have an efficient screw holding capacity. Single frames are better than overlapping frame pieces, which often get in the way and touch the table. The rails should also be made of solid wood, allowing you to replace the cloth without issues when the time comes. Quality rails won't chip or become unsuitable for re-gluing when replacing the rubber cushion. Cheaper rails may very well render the table unusable after some time. The legs should have solid construction, since the whole weight of the table is going to rest on them. Tables with four legs usually tend to be strong enough, but if you're getting one with two legs, make sure they're framed to the table with solid wood so there won't be any problems with the table's rigidity. Ideally, the cloth should be made of nylon (cca 20%) and wool (thickness should not exceed 20 oz). Even though buying a good table requires some money, you need to keep in mind this is a one-time investment that's going to serve you for years to come. It's better to pay a little bit more and ensure a hassle-free experience, than having to deal with headaches and costly repairs after your table has served you only for a couple of years. ]]> Guide http://www.allsportsportal.com/guide/quality-fun-why-choosing-a-high-quality-pool-table-is-worth-the-cost-64089051.shtml http://www.allsportsportal.com/guide/quality-fun-why-choosing-a-high-quality-pool-table-is-worth-the-cost-64089051.shtml Editor Mon, 13 Nov 2017 08:21:30 -0500 Can't Find A Sports Team? Why Not Start Your Own? Many people would love to get involved with a team sport, but it can be difficult to find a suitable club or organisation to join. However, there is one simple solution to this problem - why not start a team or club yourself? Whether you want to rekindle your love affair with your favourite college sport, or have just moved to a new area where there are no available teams, it’s a lot easier than you think to set up a club yourself. Let’s take a look at everything you need to consider. Community sports teams are a great way for you and other people in your area to get - and stay - fit. Team sports are also great for the social aspect and can help you increase skills like team-building, strategy, and organisation. Many sports clubs form an important part of local communities, and nothing is stopping you from creating one if nothing else out there fits your needs. The first step is to ensure there is a desire for people to play your sport of interest. Football, cricket, and rugby are often surefire bets, as many people want to play already. But for more alternative sports - American football, for example, you will need to make sure there is plenty of local interest. Ask your family and friends to spread the word, and you could even take out a cheap ad in your local newspaper. Once you have enough interest, it’s time to get the ball rolling in earnest. The next step is to seek out the sport’s authorities in your area and ask them about joining a league. If you are playng football, for example, http://www.thefa.com/my-football/football-volunteers/runningaclub/settingupaclub/settingupaclub suggests you need to contact your County FA. Most major sports will have representatives for your city or county, and they are an ideal starting point. For alternative sports, you may need to look further afield - they might only have regional or district authorities. Sports such as football or rugby are cheap enough - you just need a few balls, kits, and training cones to get started. You’ll also need to think about awards for player of the match or end of season trophies. The likes of http://www.trophiesplusmedals.co.uk/Football-Trophies/ or other trophy sellers might be a good bet for this type of thing, for example. Finally, make sure you have a way of tracking your finances - it’s something that many new club owners forget. You will need to collect subs and membership fees from players, sponsorship from local companies, and all kinds of other incomings and outgoings. 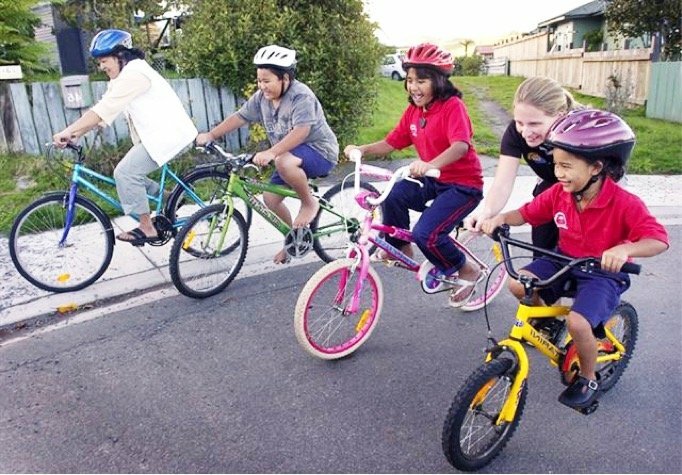 The next step is to contact your local council about finding a place to play. Churches or community centres might also be a good bet - particularly those who have a decent amount of land. Don’t forget, creating a sports team also creates a range of social benefits, which you should use to make your case. Can I really take this on? Finally, be aware that running a sports club can be hard work - but, ultimately, it is incredibly rewarding. As long as you have the time to spare and are committed to making it work, you shouldn’t have too much trouble at all. Good luck - and let’s hope your new sports team enjoys plenty of success! Sports-themed gifts are a great way of treating your sport-loving friends and family members on their birthday. But what if they already have the usual socks, hoodies, scarves and posters? In these case you need a special gift to win them over. Here are a few ideas that are sure to do the trick. These are the ultimate gift for a sports fan. Tickets to big games can be pricey, but there are lots of small games that can be just as exciting and a lot cheaper. You can also find birthday combo deals for multiple games, season tickets or tickets that include a stadium tour. You’re best shopping online as opposed to buying straight from the venue’s site (there are many sites that specialise in concert and sports tickets). Surprise your friend or family member by only getting them a card and hiding the ticket inside. A departure from the usual scarves, t-shirts and hoodies, custom print shoes can make an excellent unique sports gift. You can a pair of regular trainers printed, or custom print a pair of running shoes or football boots to make it a practical gift with a personalised touch. A sports-themed office toy is a great way of cheering up those dull work days behind a desk. Computer mice are one of the more unique and practical sports-themed office items that you can buy. There are all kinds from Formula 1 car shaped mice to baseball hat shaped mice complete with team colours and branding. Is there a wedding or special event coming up in which your friend or family may need to don a suit? Personalised cufflinks can be a great unique gift for such an occasion. You can get cufflinks in the shape of footballs and tennis rackets, or you can team specific ones. These are a great cheap either as a birthday extra or stocking filler for a close loved one, or as a single gift to a sport-loving friend or family member you may not know as well. For that friend/family member that seemingly has all the sports merch in the world, you need a really quirky gift, and what better alternative gift than a sports-themed cookie cutter? For those that love baking as well as sports, this is the ultimate gift, but even if they’re not too handy in the kitchen, they’ll most likely still want to try this gizmo out. It’s also a great gift for sports-loving children, targeting their sweet tooth and urging them to get involved in the kitchen. When people think about bows and arrows, many people think about bow hunting as a bobby and a sport. However, there is a long history for archery. If you go back in history, you can see bows and arrows in Olympic games. They were not used for bow hunting, but for competition. During the first ever Olympic games held in Greece, archery was not part of the roster of official games at all. But if you take a look into the history of Olympic archery, you would see that the sport has been held for more than a thousand years already. Thus, there could be that strong possibility that Olympic archery has been in the circuit for that long now. Olympic archery for the Men’s Division was first launched in 1900. A short four years later, Olympic archery for the Women’s Division was also launched. Sadly, uniformity was not established, as to rules and regulations for the Olympic event. This eventually led to Olympic archery being dropped from the roster of official events in the year 1920. In 1931, the FITA, or the Federation Internationale de Tira l’Arc was established. This is actually the official governing body of the sport in the global perspective. Over the years, FITA and its members debated within themselves in the hopes of establishing common ground for the official rules of Olympic archery. It took them quite a number of years actually. In time, the participating countries have reached a common ground on the rules, but this was not enough to get Olympic archery right back on the platter. In fact, it was not until 1972 that Olympic archery made it back into the official roster. The Olympic games then were held at Munich. In 1988, Olympic archery expanded into team competitions, aside from the usual individual events. For Olympic archery, it is actually the recurve bow that has gained the reputation of being the official bow being used. Olympic archers are very careful upon releasing arrows from this type of bow because the arrows can travel as fast as 150 mph when released from the recurve bow. The bows themselves are very sleek in appearance, boasting of wood, graphite, and fiberglass. The bows also have stabilizers that are used in maintaining the straight course of the arrows as they are released. The strings of the bow are also made from the same material that comprises Kevlar. You can then just imagine how fast the arrows can travel when released from Kevlar strings! The arrows used in the Olympics should be made of either carbon graphite or aluminum. These are the only arrows that make it into the Olympics. Just by looking at all these fancy gear and equipment, you can safely say that the whole package would cost you more than a thousand bucks! Cycling is the favorite among other sports. No wonder: Whether on the way to work or on an extended weekend getaway: We kick-start the spring. The advantages of cycling provide a lot more reasons to swing on the wire. Step into the pedals, breathe deeply, feel the fresh air in the lungs, continue cycling, exhale. Sports such as walking, jogging or cycling are the best things we can do for our respiratory organs. The lung is evenly filled with oxygen, which strengthens the breathing muscles. This protects us against a cold and can even relieve asthma. About 400 calories are consumed during an hour of cycling (at 60 kg body weight and about 18 km / h). Advantage of such a tempo in the so-called aerobic area: It activates particularly well our fat burning. Because it needs oxygen. If, on the other hand, wants to lose weight quickly, it is best to use an interval training more often. On the road, give three times for five minutes each. Then continue at a moderate pace. Thus, the calorie consumption increases - in absolute terms. That makes you slim. From 9 am to 5 pm on the office chair, then on the couch - our everyday life is often monotonous for the joints. So just take a bike to work. The auricular cartilage - for example, the knee - provides better oxygen and nutrients for of ten minutes, which can help prevent arthritis. By weighing the greatest weight on the saddle, we also spare the joints - if we choose an easy gear, an advantage over sports like jogging. Our heart works through regular biking more efficiently and is so relieved. The best effect is achieved from a tour of at least 30 minutes. The best five times a week, the World Health Organization recommends. This can reduce myocardial risk by 50 percent. And for that you do not have to biking until you drop. Also trips at 15 km / h bring the circuit properly into swing. Cycling also trains the agility and our responsiveness. We ride on sand and gravel, then on roads, turn around curves, stomp uphill or downhill. Because head and body must react quickly and focus on new situations. Different sports are played everywhere all across the world. Different players play different sports depending on their needs. Others play as carriers, others as a hobby whereas others just play as part of their fitness requirements. Most of these games have become so popular thus drawing a huge following from different parts of the world.All games have different rules and characteristics that are governed by a specific international body. Want to play yourself? Learn more about athletic shoes here. Most of these top sports are included in international games like Olympics where different countries across the world come together to compete and play against each other. This brings unity and cohesion among different countries around the world. These sports are also considered as lucrative industries since they generate a lot of money in revenues, precisely in the developed countries. Here are some of the most popular games in the world right now. Football is considered as the most popular sport in the world. This game involves 11 different players on each team including the goalkeeper, and the main aim is to tackle and score against the other opponent. The game is played in an open field as goalkeepers are required to block the ball from going through the net. Football has over 4 billion supporters worldwide thus making it the most popular game in the world. Interested in playing? This is yet another popular game that is played by 5 players on each team. The players play on a rectangular court and their main aim is to throw the ball inside the net of the other opponent. Different points are added depending on the distance you are throwing the ball from. Basketball has over 3 billion fans worldwide and is mostly played in the United States. According to reports, field hockey was early played in Netherland, Scotland, and England. At that time, the game was being played on a ground with grass, but now it is played on solid turf. Each team consist of eleven players including the goalkeeper as all players are required to use hockey sticks to play. This is a game that is embraced by most countries including Pakistan and India with over 2.2 billion fans worldwide. This is a racked game that is played on either a clay or solid court. Tennis can be played between one or two team partners against each other by using a racket and sphere rubber ball. The court is separated by a net between them. If the ball is hit in a way that might be difficult for the other player to return the ball, then the opponent will earn an extra point. This game is played worldwide and it originated from Birmingham in England. Tennis has over 1 billion fans watching on tv and through the internet all across the world. If snooker is one of your favorite games for a long time, then snooker wagering can be a great idea for you to make a lot of money in short time. Some people hesitate to wager on snooker games because of the fear to lose money, but just think about the moments when you win a wager on snooker. Although it is quite risky, but can profit you if you play wisely. Before you start with snooker wagering, you need to develop certain set of skills and special techniques, and prepare yourself by studying all of these. Have a look at the snooker rules, read online snooker blogs, and take guidance from seasonal wagers. There are a wide range of snooker tournaments, and The Masters is considered as the most popular one. It was started in 1975 at the West Centre Hotel, London, and John Spencer was the winner. The record of the most Masters titles is hold by two players, Ronnie O’Sullivan and Stephen Hendry (six titles each). Snooker lovers eagerly wait for The Masters. The 2017 season of the tournament is at its peak. You can wager on the live and future matches through online sites. There are many players participating in this event including Ronnie O’Sullivan, Mark Selby, John Higgins, Joe Perry, and Ryan Day. You can choose your favorite player to wager on. On the websites, you can find all the rules and regulations for placing the bets. Different sites have different rules, thus, it is advisable to read them carefully before you begin with The Masters 2017 wagering. William Hill is an online site best known for providing ultimate sports wagering experience. At this site, you can wager on all matches of different sports including Snooker of course, you can find the player’s chances of winning and different tournaments here http://sports.williamhill.com/bet/en-gb/betting/y/20/Snooker.html. Explore the site and wager on the on-going and Snooker - The Masters 2017. For more details, please visit William Hill’s site today. The superbowl is coming again. You are one of the biggest fans of the super bowl out there because the energy, excitement, and partying that goes on around is to die for. You love the way people come together to celebrate sports, and the amazing food and hilarious commercials are just the cherry on top. The super bowl can be a really fun time if you go to a superbowl party that’s properly set up. In fact, you have decided to take matters into your own hands and throw your own super bowl party. This way, there can be nothing that gets messed up to ruin the big day. Throwing your own party is the best way to assure things run smoothly, but there are some crucials things to plan to make sure your party is a huge success. The first thing to prepare for is to make sure your home is properly set up to comfortably host a big group of people. If you plan to have people over at your home for a long time, you have to make sure to pick the right area so there is enough space for people to stand around, for people to sit around, and for others to move around. The living room and back patio are excellent choices, but just make sure both are properly arranged so there is flow and enough room for all sorts of activities. The next thing to properly plan, and possibly the most important, is the food! Make sure that there is enough food for all the people you invite, and make sure that this food works for a large group. Large groups tend to have allergies or food restrictions, so keeping it simple yet delicious is the perfect balance. Get a lot of food, because the food commercials are sure to make everyone really hungry! The last step to making sure you host a proper super bowl party is you! Make sure you are looking sharp, comfortable, and like you deserve to be throwing your own party. Looking good and feeling good is part of the party, so make sure you do it well. If you want to grab some new clothes, grab some of these Groupon Coupons for J.Crew and dapper up. Your new outfit will be perfect for hosting a welcoming, warm party that people will remember for years.